With the filing period officially closed and all judicial candidates announced, the Arkansas Supreme Court will, for the first time in history, be made up of a majority of female justices. 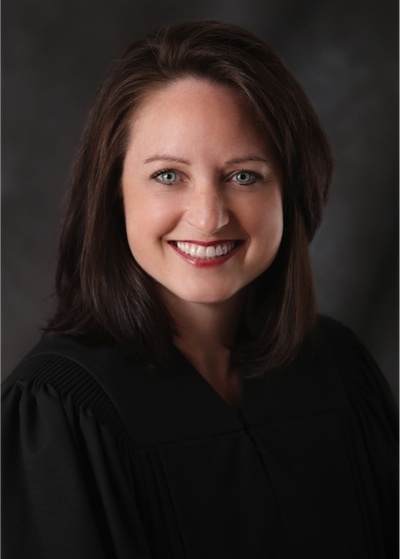 Court of Appeals Judge Rhonda Wood is running unopposed for Position 7 on the Arkansas Supreme Court, the seat being vacated by Justice Cliff Hoofman. Justice Hoofman was appointed in 2012 by Governor Mike Beebe to fill the seat being vacated at that time by retiring Justice Robert L. Brown. As an appointee, Justice Hoofman cannot run for that seat. The 2014 judicial elections in Arkansas will take place on May 20, 2014, during the primary elections. Justice Karen R. Baker is running unopposed for Position 6, the seat she currently holds. The only other open seat on the Arkansas Supreme Court is Position 2, which is being vacated by retiring Justice Donald L. Corbin. Two candidates have filed for that position: Little Rock attorney Tim Cullen and Court of Appeals Judge Robin F. Wynne. Regardless of the outcome of that race, the Arkansas Supreme Court will be soon be comprised of four women and three men. Elsijane Trimble Roy was the first female to serve as an Arkansas Supreme Court Justice. She was appointed to Position 2 on the Arkansas Supreme Court in 1975 by Governor David Pryor. In 1995, Andree Layton Roaf became the first African-American female to serve on the Arkansas Supreme Court after being appointed to that position by Governor Jim Guy Tucker. Betty Dickey was appointed by Governor Mike Huckabee to become the first female Chief Justice on the Arkansas Supreme Court in 2004. In 2008, Governor Mike Beebe appointed Elana Cunningham Wills to serve in Position 3 on the Arkansas Supreme Court. In 1997, Justice Annabelle Imber Tuck made history by becoming the first female to be elected to the Arkansas Supreme Court. Since Justice Tuck’s retirement from the Arkansas Supreme Court in 2009, three other female Justices have been elected to serve on the Arkansas Supreme Court, all of whom are current members of that Court: Justice Karen R. Baker, Justice Courtney Hudson Goodson, and Justice Josephine L. Hart. With the addition of Judge Rhonda Wood in 2015, Arkansas will join the ranks of only nine other majority-female state high courts in the country: California, Maryland, New York, North Carolina, Ohio, Texas (Court of Criminal Appeals), Tennessee, Washington, and Wisconsin. Although only nine state courts of last resort currently have a majority-female membership, sixteen state high courts are now led by female Chief Justices: Alaska, Arizona, California, Maryland, Minnesota, Missouri, New Mexico, North Carolina, Ohio, South Carolina, Texas (Court of Criminal Appeals), Virginia, Washington, West Virginia, Wisconsin, and Wyoming. * Hat tip to Tim Cullen at ReportedDecisions.com for the suggestion to research this topic.